In his keynote, Mr Carvallo will help understands why it is important to the share economy and our digital evolution. Mr. Carvallo will explain why CMG developed its Blockchain Energy Framework to answer the questions about use cases, technologies, vendors, business models, business cases, costs, risks, benefits and best practices. And he will also share the history of Blockchain, how it matters to the energy industry, some of the key energy uses cases being developed, some key deployments already delivering benefits, a list of top vendors, and the rationale behinds its benefits and impact going forward in the Energy domain. Cities wanting to create and deliver new digital and sustainable services require new analytical thinking and processes to deploy the right solutions for its citizens and visitors. 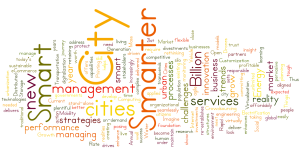 Mr. Carvallo will cover the key use cases for delivering a smart city focusing on energy, water, buildings, transportation, public safety, and other government services. As technology changes the very way we live, work, play and communicate, it can also lead to efficiencies in safety, sustainability, monitoring, and performance of people, organizations, and infrastructure. 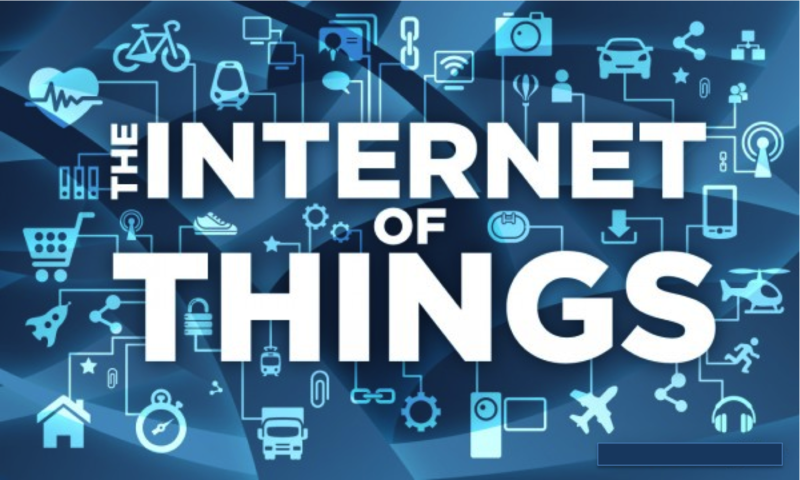 He will share what smart services will mean to cities and municipalities as they take advantage of technological offerings such as the internet of things, big data, smart devices and connected grids to eliminate waste, and increase communications and management. He will make it easy to understand what is available now, what is coming, and how it all works together! Mr. Carvallo will share the insights of his latest work at CMG helping building owners and construction executives, power and energy executives and regulators faced with rationalizing the rapid and numerous changes currently pushing for a fusion of the construction and utility industries to build new digital solutions Mr.Carvallo will share how disruptive change in other industries caused the “rules of the road” to be changed, and how the lessons learned from those experiences can be applied to both industries. He will also present how new business models and cutting edge technologies such as distributed solar and CHP, demand response, microgrids, energy storage, electric vehicles, cyber-security, advanced wholesale markets, and new competitive retail markets are all impacting the industries and opening new doors for financing, banking, and insurance solutions. And he will also share how central generation, grid operations, and wholesale and retail energy sales are being transformed by innovation and competition, forcing utilities faster than ever to make critical choices about business models and technologies. And finally, Mr. Carvallo will share his deep professional experience and global view of these trends and opportunities to suggest how the market can accelerate its digitalization and transformation toward a truly robust and sustainable energy future. In his keynote titled “The Smarter Enterprise”, Mr. Carvallo will reveal how this new 21st century megatrend will deliver a new digital world with virtually unlimited possibilities. “The Smarter Enterprise” is a non-stop, on-demand, re-design journey of the business models, business processes, technologies, organizational structures, and applied human capital to seamlessly blend existing and new stand-alone trends such as, Mass Customization, Open Sourcing, Crowdsourcing, eCommerce, Virtualization, Cloud Computing, Mobility, mCommerce, Social Media, Vehicle Electrification, Distributed Generation, Energy Storage, Drones, and Internet of Things into a more reliable, more profitable, and more customer driven utility reality. Mr. Carvallo will share how The Smarter Enterprise delivers successes by committing to pervasive performance management, which helps streamline management processes by creating a smart, agile and aligned utility by enabling the close monitoring of performance, flexible integrated planning, and improving trust and loyalty among customers and stakeholders. Mr. Carvallo will share his insights, vision, and experience with focus on The Inevitable Evolution of Smart Grids. The Rationale for an Advanced Smart Grid. Vision, Planning, and Initiative. Smart Grid 1.0: From Power Plant to Meters. The Global Perspective on Smart Grid. Interfacing with Distributed Energy Resources (DER). 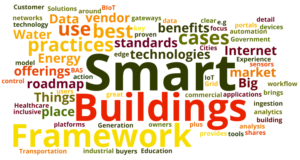 Smart Grid 2.0 Emerges: An Integrated, Advanced Smart Grid. The Potential of Advanced Smart Grids. And he will close with details on how we are Fast Forwarding to Smart Grid 3.0. Mr. Carvallo shares the design and construction of the first citywide smart grid in the US as a case study, sharing the many successes and lessons learned. From his sharing you will gain key knowledge of successful tools and best practices that are needed to overcome diverse technological and organizational challenges as you strive to build a next-generation advanced smart grid (smart grid 2.0). And lastly, Mr. Carvallo will share details of the future with interconnected advanced smart grids and a redesigned energy ecosystem (smart grid 3.0). Mr. Carvallo will share the insights of his latest work at CMG helping power and energy executives and regulators faced with rationalizing the rapid and numerous changes currently pressuring the traditional structure of the utility industry. Mr.Carvallo will share how disruptive change in other industries caused the ³rules of the road² to be changed, and how the lessons learned from those experiences can be applied to the utility industry. He will also present how new business models and cutting edge technologies such as distributed solar and CHP, demand response, microgrids, energy storage, electric vehicles, cyber-security, advanced wholesale markets, and new competitive retail markets are all impacting the traditional regulated utility industry. And he will also share how central generation, grid operations, and wholesale and retail energy sales are being transformed by innovation and competition, forcing utilities faster than ever to make critical choices about business models and technologies. And finally, Mr. Carvallo will share his deep professional experience and global view of these trends and opportunities to suggest how the market can accelerate its digitalization and transformation toward a truly robust and sustainable energy future. In his keynote titled “The Smarter Utility”, Mr. Carvallo will reveal how this new 21st century megatrend will deliver a new Energy world with virtually unlimited possibilities. “The Smarter Utility” is a non-stop, on-demand, re-design journey of the business models, business processes, technologies, organizational structures, and applied human capital to seamlessly blend existing and new stand-alone trends such as, Mass Customization, Open Sourcing, Crowdsourcing, eCommerce, Virtualization, Cloud Computing, Mobility, mCommerce, Social Media, Vehicle Electrification, Distributed Generation, Energy Storage, Drones, and Internet of Things into a more reliable, more profitable, and more customer driven utility reality. Mr. Carvallo will share how The Smarter Utility delivers successes by committing to pervasive performance management, which helps streamline management processes by creating a smart, agile and aligned utility by enabling the close monitoring of performance, flexible integrated planning, and improving trust and loyalty among customers and stakeholders.